Coastal living in this GORGEOUS second floor Marquesa Royale! 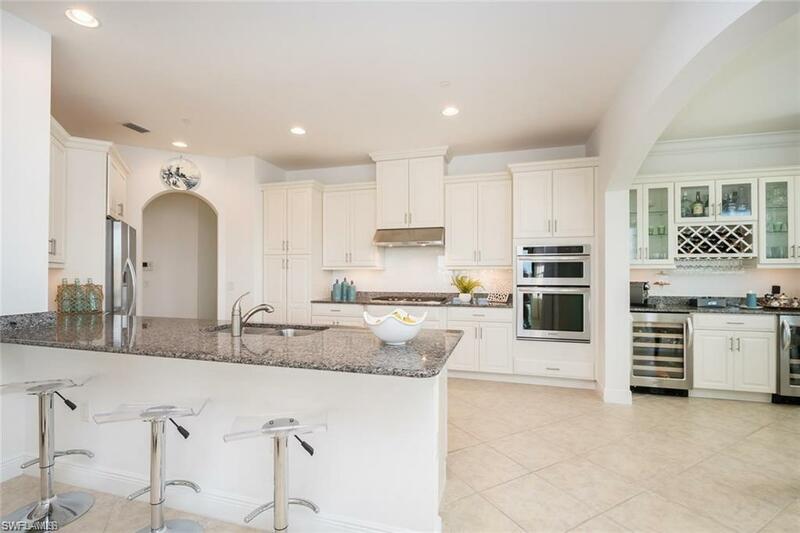 Stunning TURNKEY FURNISHED luxury condominium including a FULL Golf Medallion Membership. 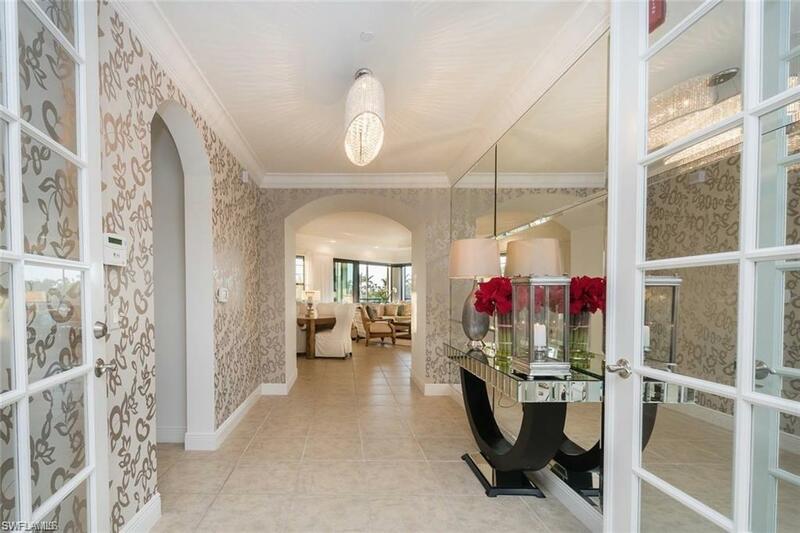 This fabulous residence comprises 3 Bedrooms + DEN, 3.5 Baths with beautiful golf course & lake views. 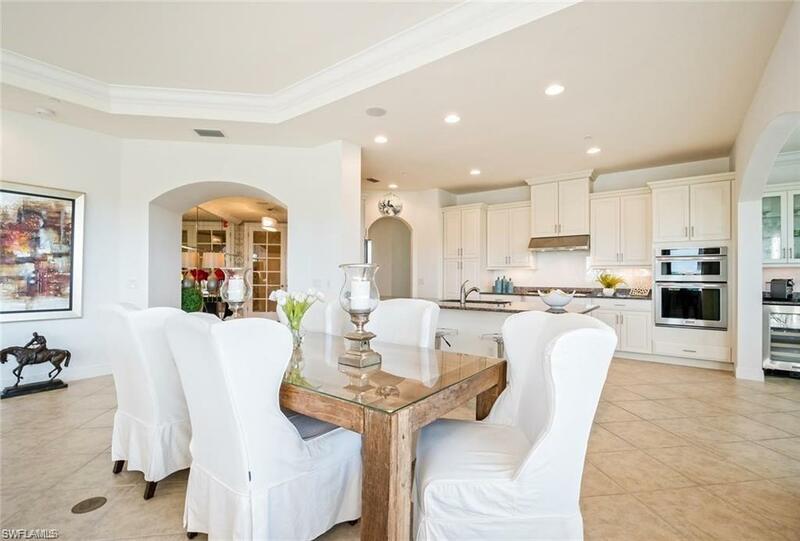 Features include sophisticated designer furnishings, an open great room living area, white gourmet kitchen with top of the line appliances, glass back splash in kitchen, a built-in bar with glass cabinets and dual wine refrigerators off the breakfast area. Comfortable master bedroom with elegant wallpaper in master bath. The large wrap around lanai features ELECTRIC SHUTTERS for your convenience with mature palm trees and no other buildings in your view. Impact resistant windows and pocket sliding doors. Enjoy 5-star resort-style amenities and the convenient North Naples location. 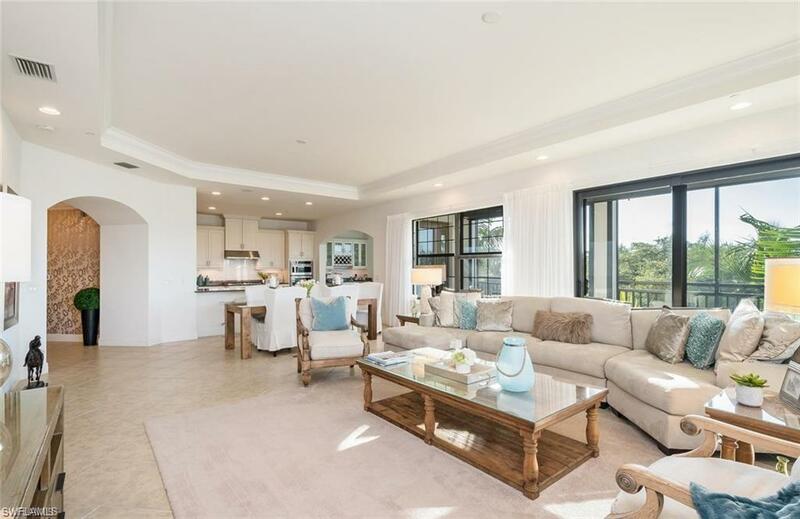 Located adjacent to the exclusive Ritz-Carlton Golf Resort, and within easy walking distance to all that Tiburon has to offer.